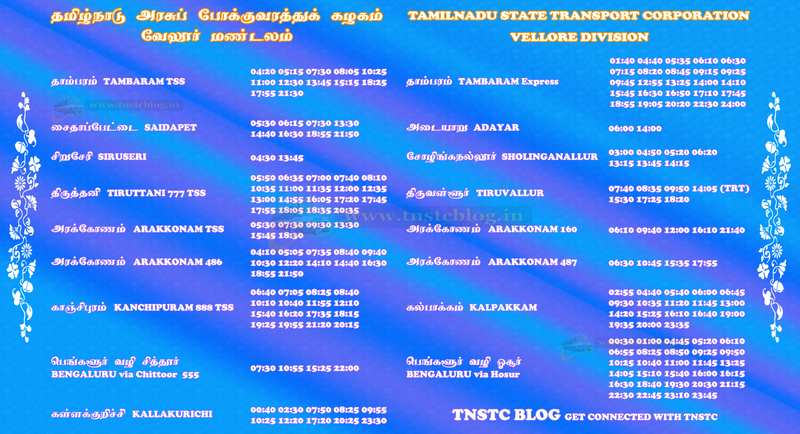 TNSTC Villupuram Vellore Division operates TSS Express Bus service from Vellore to Important destination timings of the buses from Vellore New Bus stand. any buses from vellore to pondicherry? There are only few direct buses. Vellore – Tiruvannamalai, Tiruvannamalai – Villupuram, Villupuram – Pondy cut services will go fast there are frequent buses in this route. Kindly help me, with the timings of buses from Adyar to Arcot and its vice versa. May I know the bus timings from Vellore to Trupathi..?